Jconcepts are a small business who specialize in the supply, installation , sand & polish of timber flooring. 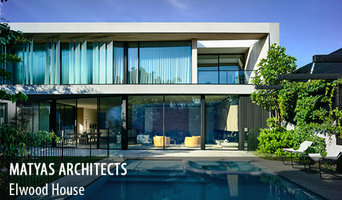 For over a decade we have been quietly applying our trade to Melbourne and surrounding areas. Most of our work is done using recycled or re-milled timber allowing each job to have a unique or one off feel. Some clients prefer the rustic look of nail & bolt holes as well as natural feature. Some prefer more of a clean cut look. Each person is different. Before you commit to buying a timber floor there are many factors you should consider. We can offer friendly and professional advice on areas such as helping you choose a floor board width, what timber species suits your environment or achieving the desired colour requirements. You can also choose from our extensive range of floor finishes. There are many different types of timber finishes including wax, oil, polyurethane and water based finishes, all having different qualities. Our sanding teams also specialize in staining timber and can achieve a colour that suits you and your floor. We also have membership in the Australian timber flooring association who have their fingers on the pulse of an industry that is constantly evolving allowing us to learn and grow as a company. Hand made and machine made quality rugs distributed to over 850 retail outlets in Australia, New Zealand and Singapore. At Westcoast Floors we have been leading the flooring industry in Geelong and surrounding areas for 20 years, and can offer you the best advice from a wealth of experience. We are a Geelong owned and operated family business with an extremely strong focus on customer service as the basis of how we do things. It all starts with your first contact or a visit to Westcoast Floors Geelong showroom open 6 days a week, where you will be greeted by a highly experienced and knowledgeable sales person. They can guide you through all of your questions and arrange for one of our onsite team to come to your home or business and provide you with a free measure and quote, as well as plenty of friendly advice. We have 5 experienced teams of floor sanders and floor layers, enabling us to get the job done when you need it done, and offer you a full range of flooring services. Timberzoo is a recycled timber warehouse located near Geelong on the Bellarine Peninsula. We specialise in Australian hardwoods and the range of species used in building and construction from the early to the mid-20th century in Australian towns and cities. We are timber flooring retail shop. We can supply you with all types of timber flooring. We have a range to suit every taste and every need. We stock laminate flooring, engineered flooring, bamboo flooring and solid timber. We also have an amazing recycled range of flooring and wall cladding and have a vinyl range. Carpet ,Timber, Laminate, Vinyl Sheet, Vinyl Plank, Blinds, Plantation Shutters all on display in our modern showroom.Quality and Service guaranteed. 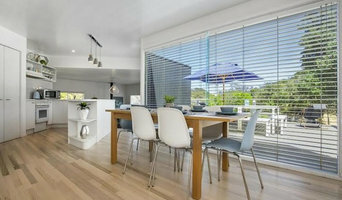 Port Phillip Timber Floors specializes in supplying, laying, sanding and polishing of strip flooring , Overlay Flooring, Parquetry and Floating floors. Experienced flooring retailers will know as much as an installer for what product is right for your Geelong home. From hardwood floors to vinyl flooring and carpet, there are nearly as many surfaces to walk on as there are home styles to build. A pro can help to ensure that your Geelong, Victoria home’s floors start off and stay in top form. Hire a Flooring Installation Contractor if your floor troubles are beyond the rug solution. From timber flooring to a laminate flooring installation, a specialist will take care of your sanding, polishing and floor covering needs. 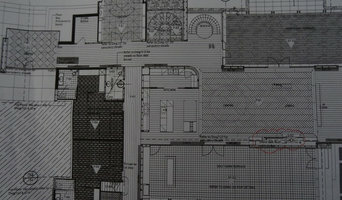 Look for a Flooring Installation contractor in Geelong based on past work and referrals - all available on Houzz. Find a carpeting and flooring professional on Houzz. Narrow your search in the Professionals section of the website to Geelong, Victoria carpeting and flooring. 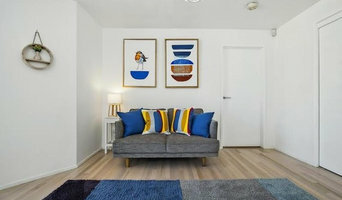 You can also look through Geelong, Victoria photos to find examples of carpeting and flooring that you like, then contact the professional who worked on them.